That’s a good title for a post. Did it get your attention? The number 7, and the word “tips” are meant to do that. I’ve learned that they are considered “Click bait.” Post titles with numbers – particularly 7 –are more likely to get people to click on them than other titles. That’s what I gather from the social networks. I have no real proof – and, I’m afraid, no real tips, either. At least the UTI gave me an excuse to lie on the couch and watch three episodes in a row of “Pretty Little Liars,” with the 12-year old. Guilt-free, I must add. The 15-year old got us hooked on this drama about trendy high school students involved in a bullying mystery, and we’ve been trying to catch up with her. 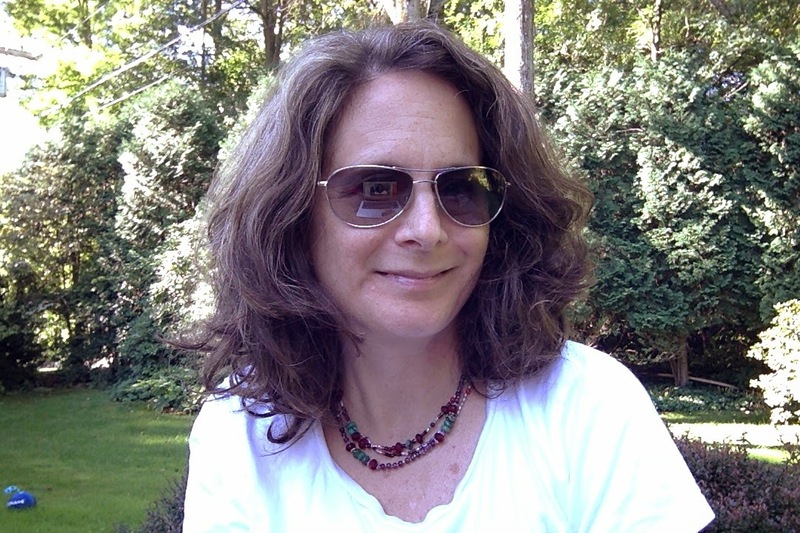 Perhaps it’s surprising, but I find this type of vegging out by my children (and me, from time to time – ahem – thus the relief of the guilt-free UTI binge) comforting. Compared to hunching over an iPhone, watching TV feels downright old fashioned and wholesome. After all, I spent much of my youth doing so, and look how I turned out. Well. Don’t look too closely. Anyhoo, where have I been, you may have wondered, Readers? I hope so. I hope you’re still there. Am I back to my seven readers? I’ve been away on the annual trip to the beach with my sister the psychoanalyst, her husband the psychoanalyst, and my niece and nephew the spawn of psychoanalysts. This year my father joined us, as did his special lady friend, for part of the week. This annual beach trip comes with the usual family stuff. There you are, sharing a rental kitchen with inadequate utensils, prewashing everything, and performing that awkward morning gymnastics routine around one another. Your kids want to eat what they’re making for their kids. Their kids want to eat what you got for yours. This sister is skinnier than that sister. Whose sunscreen is whose? And then, Lear like, the white haired father is there, bringing along those undertones of which sister is the favorite? Actually, this trip was fairly stress-free, I must say. Except for driving there. Traffic on the eastern seaboard is relentless, in case you didn’t know it, so as usual, I arrived at the beach ready to blame everyone in my family of origin for making me drive so much farther than they do. But nobody made me, I had to admit, so I was forced to stifle my impulse to blame in a lot of cappuccino crunch ice cream. . The bad part of the trip was that one of my wonderful uncles died, after a long illness. My sister and I drove back to Washington for his funeral. That was obviously sad. On the other hand, I got to spend time with my sister the psychoanalyst, who suggested that being a therapist might not be the best outlet for my creativity. When she said that, I had an insight that perhaps my recent mania for French chic and wardrobe, make-up, and hair was my current expression of creativity during my (also) current drift away from creative writing. Hmmmm. Strokes chin with Freudian flair. Peut être. Perhaps. 1. I lay on a bed of nails in Charlotte, NC. We were down south to retrieve the 15-year old from her ballet intensive and stopped off at the Discovery Center, a hands-on science museum. The bed of nails was kind of freaky. I recommend it. The Discovery Center, that is. If you don’t want to go inside, you can use the outside whisper tube and measure yourself with the invisible measurer that announces your height to everyone at the bus stop. I was glad to find I’m still half an inch up on the 12-year old. I’m rooting for her to top me, though. Why else would I mate with a man a foot taller than I, if not to provide my daughters with a chance to move out of the Petite department? There are really so many fewer options in Petites. 2. Had a haircut. I know, this is momentous. My more serious-minded readers might just skip ahead now. Ahead to something serious, I mean. Like the New York Review of Books. Or the Financial Times. Something substantial. Because I am not. Or I am. I mean, I care about my hair. And this is a big deal for me. I had a second haircut by a new stylist, Donna. Why is this news? Well, it means I’ve left my old stylist. I feel guilty about it. I may have mentioned that he walked out on his old salon, which he supposedly co-owned with his sister, and now he’s got big dreams to start a new one. And I followed him, and listened to his dreams, and was loyal. And got a couple of terrible haircuts. So I turned to a recommendation from someone else, who took me out to lunch, bought me a glass of wine, and drove me to her stylist for a consultation. So I’m leaving my guy, who has rented a chair at some random salon, and is dreaming of starting a hair school. Maybe he will. And maybe I’ll go back to him one day. But right now, I’m loving Donna. 3. Saw the 12 year old perform in her end of summer theater camp production. Krazy Kamp involved several subplots that went nowhere, and a main plot that I can’t recall. There were delicious baked goods at intermission, some of which I had baked. Then I paid to eat them. Support the arts! 4. Got a little education on Israel's history from my mother-in-law. I’ve been assiduous in avoiding knowing too much about this current war, because it’s so distressing; but now I know more. Knowledge is power, according to Auntie Mame. I’m not so sure, in this case. 6. Purchased new sunglasses. I’ll let them speak for themselves in all their awesomeness. 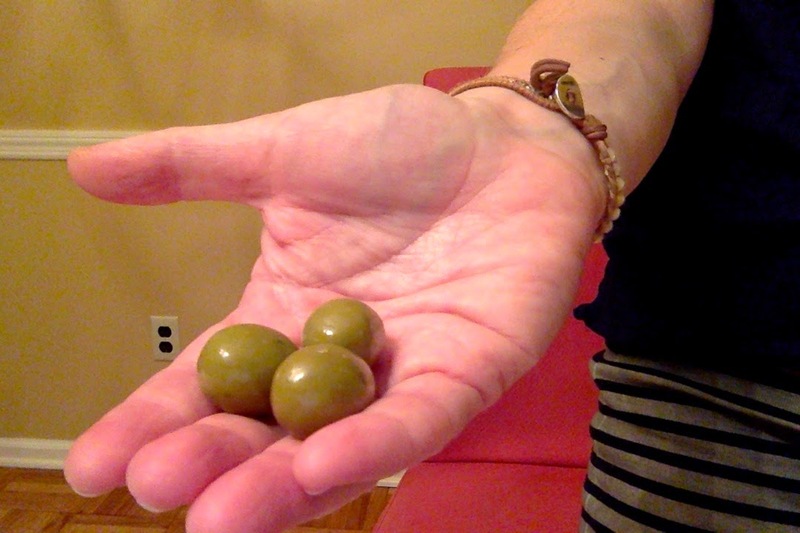 And, lastly, I ate French candy that looks like olives. I like your glasses. I think you can pull of that style. This post makes me wish we saw more of you and that I knew you better. Your sister, too, but we have no excuse for that. So good to see you, albeit briefly. Thanks, Sarah! Likewise, I wish we lived closer to you. Hope all is well and school is going ok for M.
Oh, look at that - well, I guess I just can't count, Eagle Eye! I think your hair looks great. Were you thinking of becoming a therapist? Funny how your creativity came out. Thank you! Becoming a therapist is one of those things I've considered, off and on, since childhood, actually.